Lingual braces were designed as an alternative to the traditional ‘train track’ braces we are all too familiar with. Lingual braces Liverpool Street have the same look and structure of the traditional brace but are fitted behind the teeth so they cannot be seen. Lingual braces Liverpool Street are just as effective in straightening your teeth as other methods but have the great advantage of not imposing on your social situations. 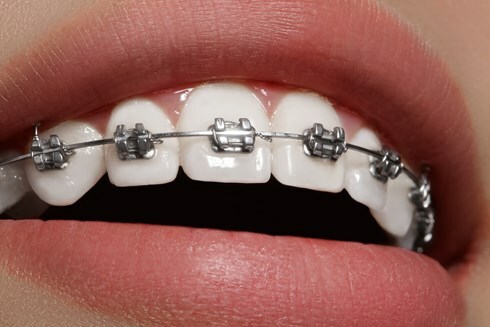 Lingual braces are not as well known as the traditional brace. The advance in technology and materials has meant an increase in the amount of options available to adults conscious of their appearance and health. Lingual comes with all the benefits of a traditional methods in straightening your teeth without a change in aesthetics and is growing into a very popular solution for adults looking for braces. The results of using lingual braces Liverpool Street are fantastic and give you perfectly straight teeth. Lingual braces are one of the most common braces used by adults wanting to invest in their oral hygiene without a big impact on their lives because of the way they are hidden behind the teeth. Lingual braces are so subtle that no one will know you have braces in, as a result of this they are used among professionals whose day to day appearance is paramount to their lives and career. Many adults across the UK are choosing to have braces fitted. Not only for the cosmetic point of view but also from the mental and physical effects it can have on your health. Crooked teeth, by nature, have harder to reach places, food is easier lodged and harder to clean and therefore increase the likelihood of gum disease and plaque build up. Not only can this have an effect on your mouth hygiene but also on the rest of your body. Headaches, neck and jaw pain can all be related to strains within the mouth, specifically around misaligned teeth.